El Consorcio de Transportes de Bizkaia (CTB) iniciará el próximo lunes 13 de noviembre las obras de sustitución de la cubierta de la estación de metro de Gobela en Getxo. Las labores, que cuentan con un plazo de ejecución de 6 semanas y un presupuesto de 60.000 euros, se centrarán en la marquesina para protección de las personas usuarias. La misma está formada por una estructura principal de acero de la que suspenden unas placas de hormigón. El motivo de la reforma es el mal estado en el que se encuentran las mismas a consecuencia de las inclemencias del tiempo. Así, se ha resuelto la ejecución de un canalón central para el correcto desagüe del agua de lluvia. La primera semana, del 13 hasta las 06.00 de la mañana del día 18 de noviembre, las obras obligarán al cierre de la estación, si bien las labores se desarrollarán en horario nocturno durante las cinco siguientes semanas. A lo largo de las seis semanas de obras, tampoco se podrá aparcar en la avenida de Negubide ni acceder de 23.00 a 06.00 horas. Recordar que, a pesar de que la estación quede cerrada, los trenes circularan con normalidad. Las y los usuarios de la estación de Gobela deberán utilizar durante esos 5 dias de la primera semana las estaciones de Areeta o Neguri. An agreement between institutions is to enable Bizkaia to have 11 joint customer service offices (OAC) for public transport. They are to begin operating on 7 November, and will deal with complaints and claims involving all operators. They will be able to manage and issue personalised Barik transport cards and other Barik transactions. They will also offer general information on timetables, lines, journeys, fares, etc. for all the operators signed up to the system. 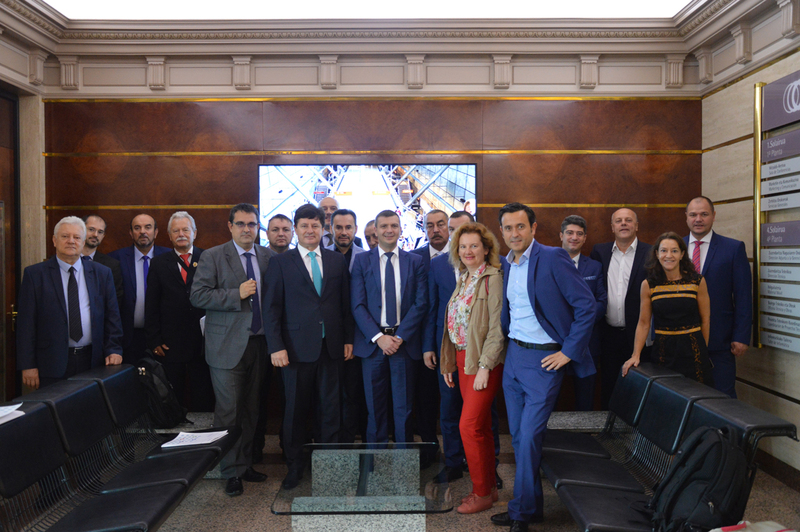 Yesterday Metro Bilbao received an official visit from a Romanian delegation interested in learning first-hand about public transport in Bizkaia. Metro Bilbao’s general Manager Eneko Arruebarrena and the General Manger of CTB (Bizkaia Transport Consortium) Manu Tejada hosted the group from Romania, chaired by Iustin Cionca, with Silviu Huduzeu as deputy chair, which also included the mayors of Hunedoara and Timis, Mircea Flaviu and Calin Ionel. 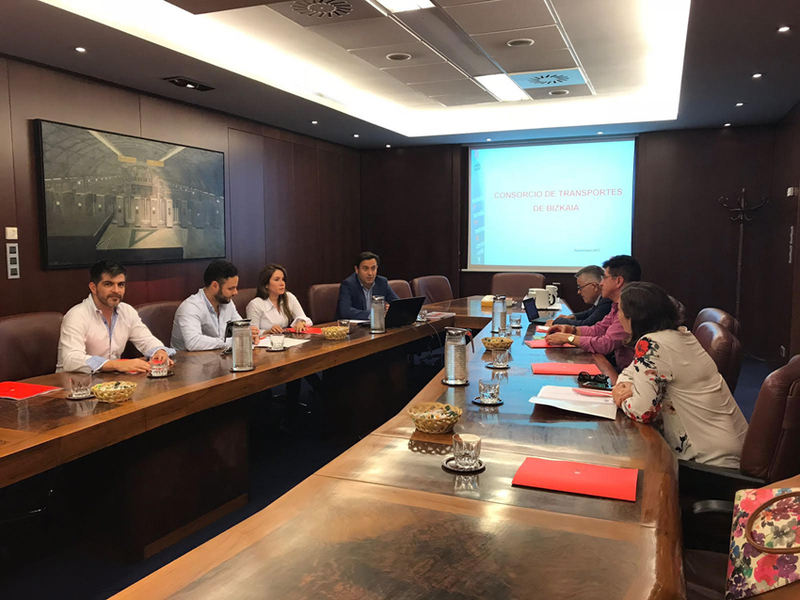 Yesterday afternoon the CTB (Bizkaia Transport Consortium) received an official visit from a Colombian delegation interested in learning first-hand about public transport in Bizkaia. The Secretaries of Planning at the offices of the mayors of Manizales, Montería, Cali and Pasto, who are visiting the Basque Country this week, wished to learn how matters of sustainable mobility and structured development of transport were handled here, and to find out more about the track record, development and funding of our Metro and railways. CTB patens App for topping up Barik Cards via mobile devices. Following a methodical process lasting two years, with the patent being valid throughout Spain for 20 years. This achievement confirms the position of CTB (The “Bizkaia Transport Consortium”) as a pioneer in R&D&I and an innovative, cutting-edge organisation that works to make Bizkaia a more closely knit, cohesive territory via public transport. The free “Barik NFC” app has now been used by 67,498 people for over 200,500 top-ups, with an average of 352 top-ups per day in its first year, 427 in 2017 so far and 537 in September. CTB is to earmark €2.5 million in funding for a new control centre at Metro Bilbao which will be used in case of serious incidents. 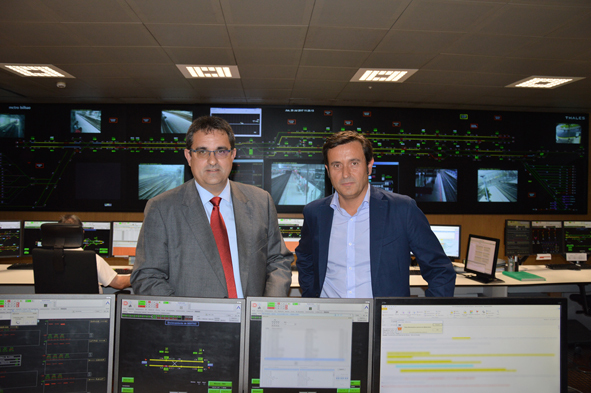 This back-up control centre will be installed at the Ariz depot in Basauri, which will take over control of the operation of all systems on the network should a serious incident knock out the current control centre at Calle Navarra 2. Work is already ongoing to adapt the Metro’s interlock systems, to the tune of a further €400,000, to ready them for use with the new back-up control centre. The current control centre is also to be fitted with additional traffic management functions to upgrade its internal operation. The main actions include refurbishing the track between Ibarbengoa and Larrabasterra at a cost of €2,194,794 and purchasing a new lathe to repair and optimise wheels at the maintenance sheds in Sopela at a cost of €1,149,500. In its meeting this morning the CTB also approved the early repayment of two loans using the remaining budget allocation from last year, and gave the go-ahead for the funding of improvements in the sewerage and water supply networks for the below-ground area in Urduliz. The Artxanda funicular railway has obtained the TripAdvisor Certificate of Excellence for the second year running. This is the 7th edition of these recognitions, which are awarded on the basis of favourable reviews from users on the TripAdvisor website. 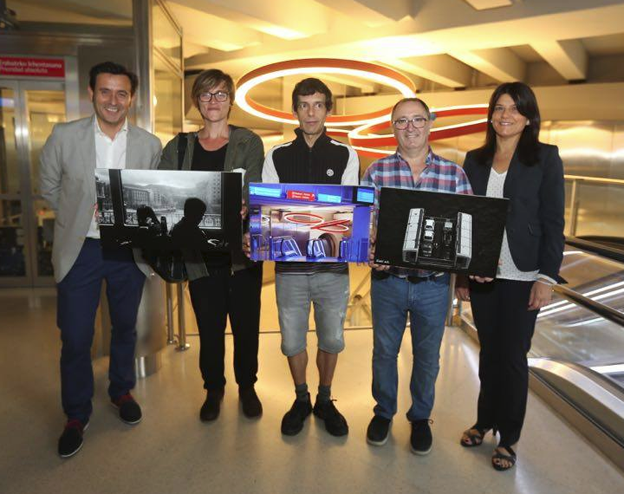 At the San Nicolás station today, CTB General Manager Manu Tejada announced the winners of the 4th “A Look at Public Transport in Bizkaia” photo contest. He thanked contestants for all the 352 entries submitted. The winning pictures were those of Iñaki Alonso in the category of “Our Public Transport], Manuela Gallardo in “My Life on Public Transport” and José Ignacio Olabarria in “Innovations and Improvements in Public Transport in Bizkaia”. The consolation prize went to Cristina Vañes. 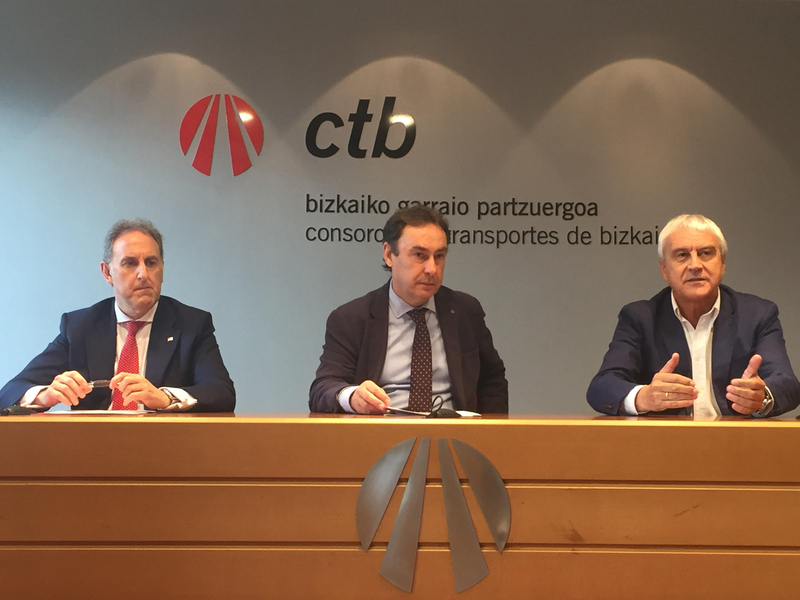 The Bizkaia Transport Consortium (CTB) rates the first full, comparable month since the introduction of the new one-off multi-mode tickets on 8 March. The new system has proven to respond well to the demand from public transport users in Bizkaia. The usual customer service points of Metro Bilbao, Euskotren, Bizkaibus, Bilbobus, Renfe and the CTB Customer Service Office (OAC) at San Mamés continue to offer information and advice on which tickets best suit users in each case. 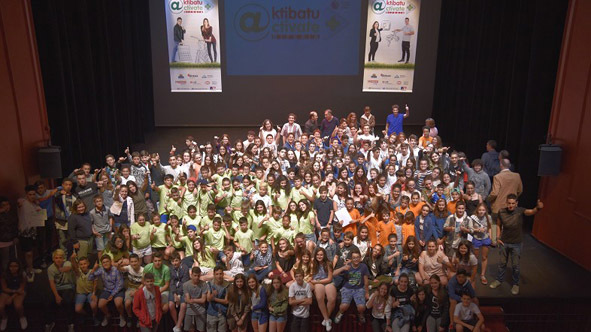 247 pupils from schools in the Ezkerraldea, Meatzaldea and Enkarterri areas who have taken part in the ACTÍVATE+ programme are receiving recognition for their efforts today. In an event held at the municipal theatre in Barakaldo with the participation of Provincial Councillor for Sustainability and the Natural Environment Elena Unzueta, Head of Environmental Affairs at the Provincial Council fo Biuzkaia Unai Gangoiti, Head of Natural Heritage and Climate Change Affairs at the Basque Government Aitor Zulueta and Chairman of GAP Internacional Carlos Oppe, the pupils in question received diplomas acknowledging their involvement in Actívate+. The jury for the programme also awarded the prizes for the best projects out of all those submitted by the 19 schools that took part in the scheme this year. TAmong other points, the plan is to analyse possible shortcomings, overlaps and duplications in the various modes of transport and work towards the implementation of a far integration system. The first meeting of this new institutional cooperation body also approved the setting up of new integrated customer service offices. The CTB is to launch a tender for the purchase of a catenary maintenance unit and for improvements to the doors of 24 Metro units. • With investment to the tune of €21 million and 24 months of work, the last level crossing on the Metro network has finally been eliminated. •	With this change the residents of Urduliz have gained 6000 m2 of public space. Track layouts in Sopela and Plentzia are also being upgraded as a result of this work. •	The replacement shuttle bus service that has been running between Plentzia and Sopela over the 24 months of the work has ceased to run today. As from today you can use your Barik card on all municipal bus services in Donostia-San Sebastián. Barik card users can now access discount fares on the whole network, and multi-validation is now possible on non personalised cards. This inter-operability project was first introduced on Line 45 in February and has been gradually extended week by week, up to today. CTB & Burgos Municipal Council sign a collaboration agreement. 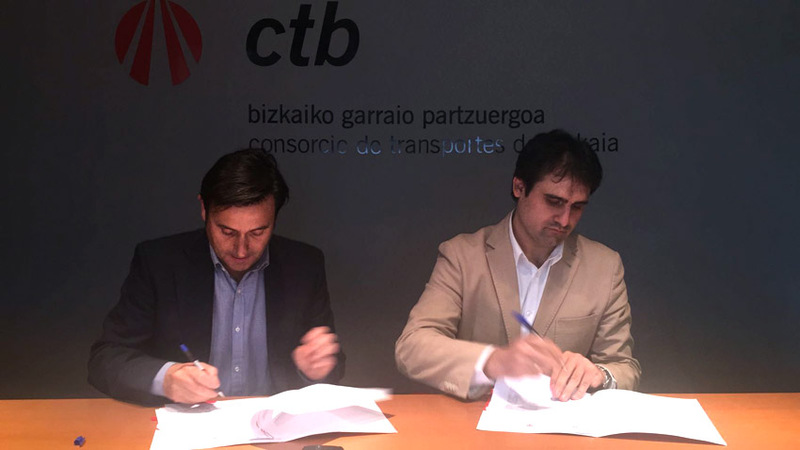 CTB and Burgos Municipal Council this morning signed an agreement at the CTB headquarters for the development and implementation of a contactless card system on public transport in the city of Burgos. Under this agreement CTB will work with the municipal council to set up a system similar to the one currently operating in Bizkaia. 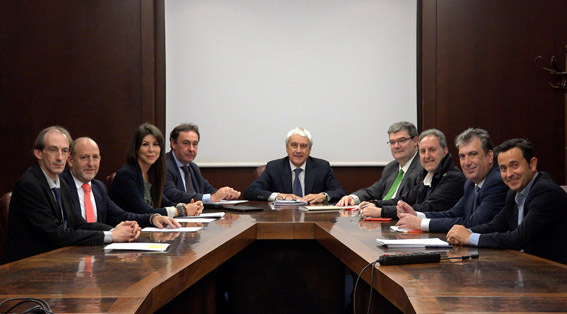 The Fare Integration Committee made up of representatives of the Provincial Council of Bizkaia, Bilbao City Council, the Basque Government, rail operator RENFE, Metro Bilbao and CTB (the Bizkaia Transport Consortium) – has approved the incorporation of persons accompanying wheelchair users, the blind and children as specific passenger types and the delimitation of zones for all forms of public transport in Bizkaia. Today marks the launch of an information campaign for these new, simplified tickets. 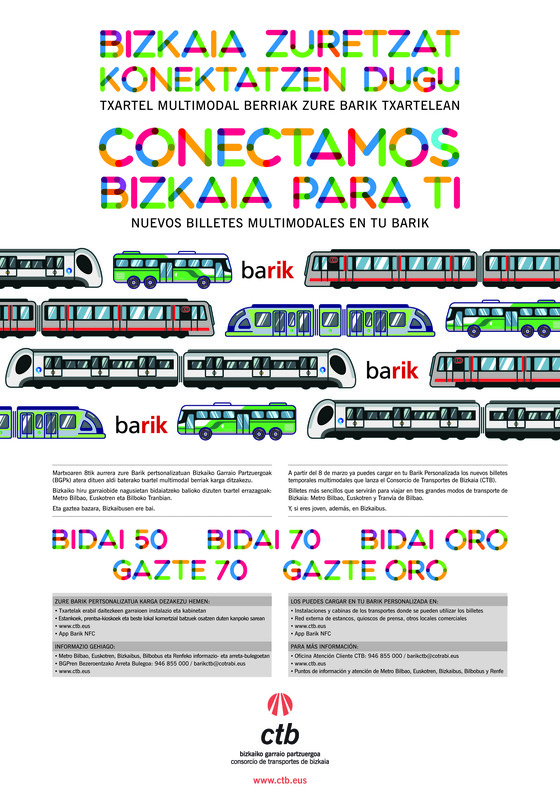 They can be used for journeys on Metro Bilbao, Euskotren, the Bilbao tramway and (for users aged 26 and under registered as residents in Bizkaia) on Bizkaibus services. On other matters, the General Board today approved a cooperation agreement with the municipal council of Urduliz under which the council is to receive €400,000 to urbanise the area of land that will become available once the Metro line through the municipality is transferred underground. The Bizkaia Transport Consortium (CTB) has begun work to refurbish the metro station in Plentzia. The work will entail a thorough refurbishment of the building and the construction of a new side entrance to replace the existing entrance. The project is expected to last 3 months and has a budget of € 213,300.